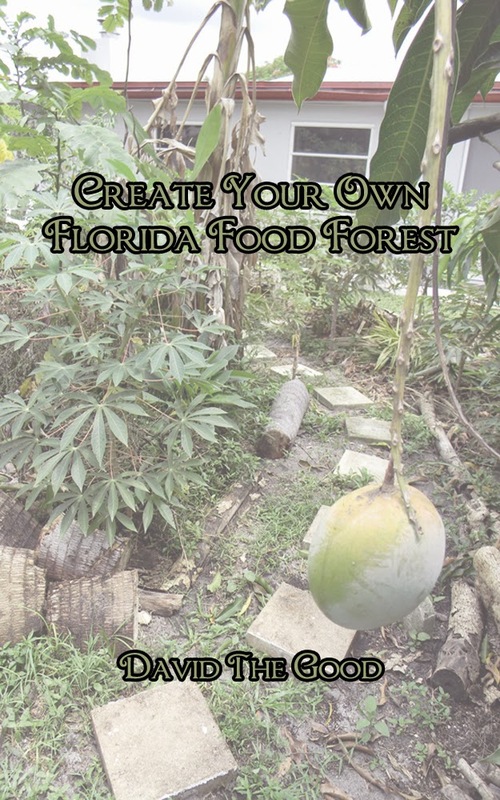 Florida Survival Gardening: My new booklet: "Create Your Own Florida Food Forest"
My new booklet: "Create Your Own Florida Food Forest"
I am very pleased to introduce my new booklet Create Your Own Florida Food Forest. I've spent some time gathering together my thoughts on creating a Florida food forest and compiled it into a handy little volume. Create Your Own Florida Food Forest starts with the basic layers of a food forest then builds from there, ending with a series of Appendices listing plant and tree species for both North and South Florida. In this book, I also share my methods for gaining a lot of plants quickly without breaking the bank, working with wildlife, and how I pick plant species that are likely to thrive at a new food forest location. All of it is Florida-focused, though northern gardeners will also find some of the information helpful. You can buy a Kindle copy here. If you find the booklet helpful, please write a review at Amazon. Some of the information may be familiar to you from my past articles and some is brand-new. If you'd like a paperback copy, you can get one here at Lulu. Thanks for all the encouragement and support. Now go out and plant food forests! I just ordered three paper copies! Thank you. I hope you find it helpful. Our mini apple orchard IN FLORIDA!